I’m not an exigent traveler but most important thing for me is where is sleep when I travel. To have a good vacation, it’s important to have a good sleep and have enough energy to ride on the streets all day long. I used Airbnb to find the best place to stay in Paris. Was quick to find. The real pictures for rooms helped me to decide where I would like to stay. I bought my flight ticket with Momondo which again was quickly and easy to do if you know when you want to go, what’s your budget and if you like with stops or direct flight. My first contact with Paris was in Charles de Gaulle airport. The biggest airport I ever seen and excellent organized. I had good maps, easy to orientate yourself to find train or bus, or Airport Shuttle to transfer to any terminal. I’ve spent 4 weeks in Paris and I consider that was a good length of time to discover all the good part and the bad parts from a big city. I was impressed by their food. OMG. Every morning you can have a different croissant or a fresh-backed fruit pie. A good think is that each Boulangerie has a large variety of sandwiches, croissants, and pies. It is a real pleasure to have a nice French breakfast with a nice view. Have your coffee sitting at the table on the sidewalk. The streets of Paris are small, friendly and romantic. Taking breakfast in Paris is a Must Have! I was happy to find a nice friendly place from where to get my daily goodies. La Farandole des Pains is a nice cozy bakery with delicious pies and I was impressed by their hospitality and how they packed my order in a cute box with a pink bow. Give them a follow on Facebook but be aware because they have a lot of great pictures with delicious desserts. 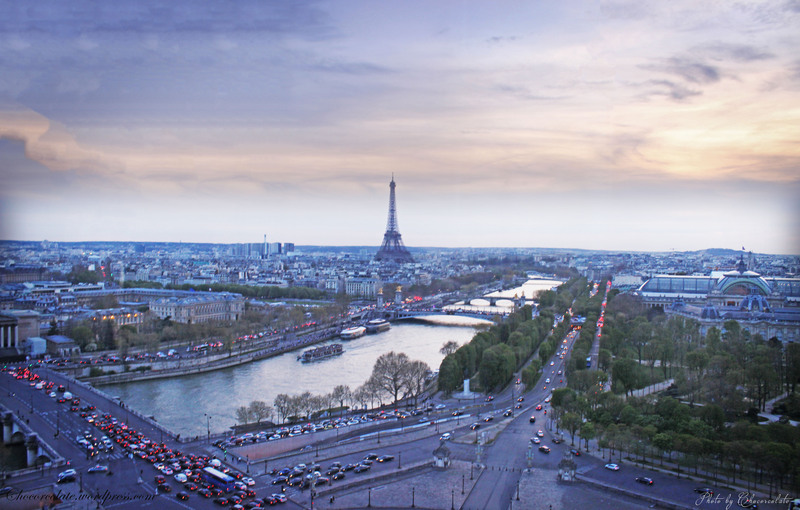 Before the sunset, will be a good idea to visit the Louvre Museum or take a walk throw The Tuileries Gardens. 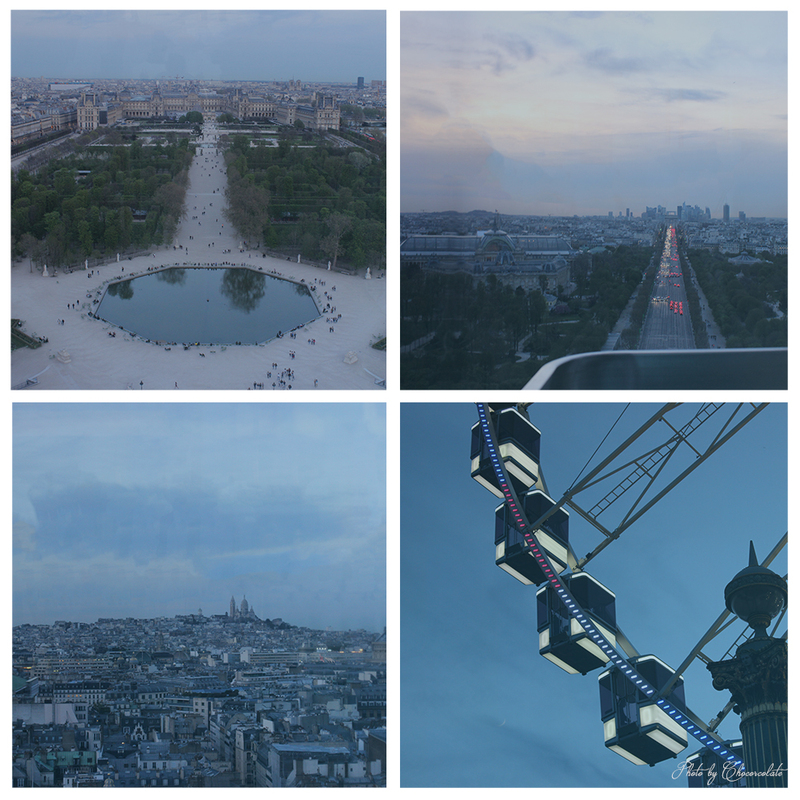 Also you can jump on The Big Wheel at Place de la Concorde for few nice memories. I promise it will be a very romantic and peaceful moment. Admire the city, observe how the sky colors joyful play from bright blue to indigo, how the beautiful garden prepares to sleep under the stars, hurried people into traffic are making their way to home and slowly the sun goes down over Paris. Paris is my fav city !